CAKE Amsterdam: Send the Gift of Cake! Send the Gift of Cake! Send the Gift of Cake, a photo by CAKE Amsterdam - Cakes by ZOBOT on Flickr. 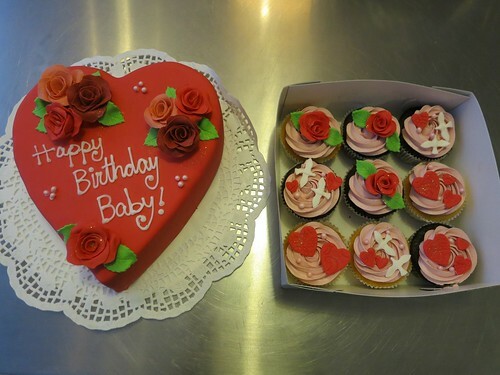 Heart cake and matching cupcakes sent from a far to a loved one in amsterdam. I also sent 26 velvet roses with the order at the clients request! The total love birthday arrangement.